The master planner’s role in a golf development project is to work in a collaborative effort amongst a team of professionals of various disciplines to provide the greatest value to the real estate or resort property. This team guides the planning process and forges a strategy for development, which synthesizes the client’s vision for a project. For many new housing development and resort type projects, golf is the key amenity. As such, it will therefore become one of the most important items in the master plan. The role of the golf architect often overlaps the responsibilities of the master planner in decisions regarding the best routing for the golf amenity and allocating the proper amount of space for a safe golf course. The best and most successful projects find the balance between golf and real estate that can achieve high quality for both aspects of the plan. In many cases, ASGCA architects are also experienced as master planners and often can fill both positions quite well. The planning process allows the master planner, golf course architect, engineer and other team members to build value into the project through effective design and planning decisions, while maximizing the opportunities of the site. While every project site and development program is unique, the principles and strategies of the planning process remain constant. The following is a summary of the planning process. The initial step of this process is to prepare a preliminary description of program elements to be included in the project. The preliminary programming exercise will synthesize the Client’s goals and objectives, project schedule, relevant market data and gather as much mapping information as possible. 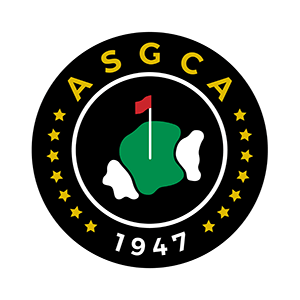 The golf architect will be involved in discussions about the style of golf course, type of course and the overall vision for how golf fits into the master plan. During this phase, each discipline will coordinate with the master planner and begin its respective analysis, both physical and qualitative, to determine the development opportunities and project feasibility. This will include examination of requirements for acquisition of permits and approvals, costs of construction, physical constraints and other factors. The golf architect will contribute his analysis of the suitability of the site for golf and give input regarding the cost of construction of the golf component. The technical input from the team member’s analysis is interpreted into a series of conceptual land use diagram alternatives, which establish the location for the project elements on the site. These alternatives are reviewed and revised with members of the project team to verify consistency with the project goals and objectives. The golf architect will prepare initial routings of the course to fit within the master plan elements and submit ideas of the style and features of the course. Based on the final conceptual land plan and the market-based product and facilities program, the team will continue the planning process with Master Plan refinements. During this process, the physical and economic plans are combined to finalize the development and business strategy. Refined site plans, economic models, agency submittals and character sketches are coordinated into a cohesive design package. During this stage, the golf architect may be called on to speak at public hearings, meet with regulatory staff and will make revisions to the golf routing as master plan refinements are needed. During this phase, development areas are studied in greater detail. Site plan enlargements, site sections/elevations and other sketches are prepared to illustrate the critical relationships of project components of the site. These studies begin to establish project “character” and “scale,” and they are the prelude to final construction documents. Often, the golf architect will begin to create contour grading plans to get a sense for overall earthworks and more closely examine how the golf course ties into the real estate and other project amenities. Detailed aspects of the overall development process such as Financing, Construction, Permits & Approvals and so on are covered in other pages of the site.